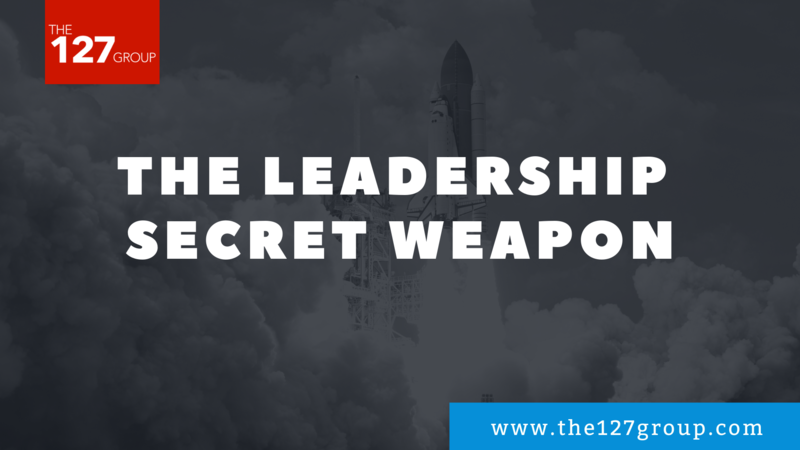 If you lead a team of people then you’ve probably been there. In fact it might currently be your biggest pain point. An underperforming staff person. It seems like no matter what task you give them it doesn’t get completed. Or maybe their capacity for quality work is just a lot lower than you expected from them. Emails not responded to in a timely manner. They don’t seem to fit with the team. Maybe it’s a new hire or someone who’s been with your organization for years. 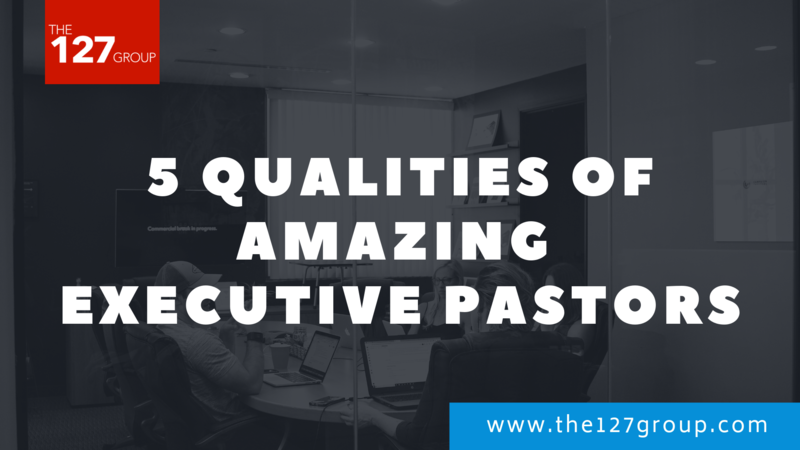 Especially if you’re the leader of a church the emotions and blowback for firing a key leader can leave deep wounds that last for years. In extreme cases parting ways with a staff member may even cause the organization to crumble. 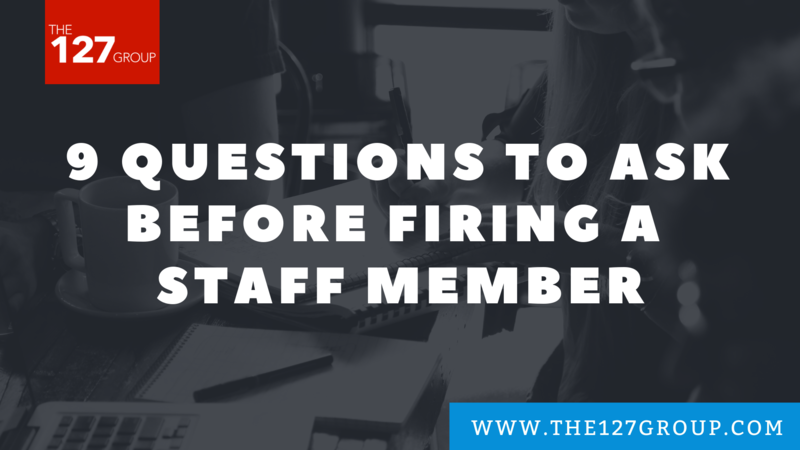 With that in mind, here are nine questions you have to ask yourself before you consider firing an underperforming staff member. Notice that these questions mostly will require YOU as a leader to take responsibility for your failures along with those of the staff member. Did you put them in a position they weren’t equipped for? Maybe they are simply in over their heads. 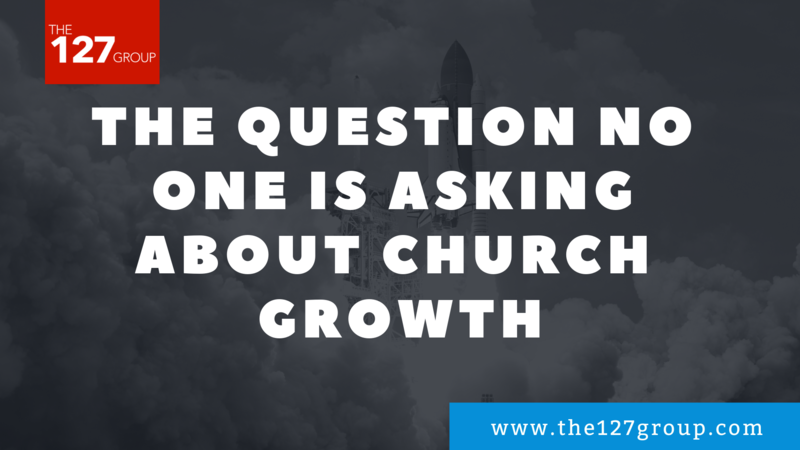 Especially in the non-profit and church world we tend to promote people to their levels of incompetency. If they were put in a role they weren’t ready to handle that really isn’t their fault. Is it fear that has caused them to freeze in their role? The natural human response to threatening situations is fear. As you probably know we have one of three options in response to a threat. Fight, flight, or freeze. Often in threatening situations where a staff member feels ill-equipped or out of their element their fears turn into freezing. They simply stop moving forward, stop making progress, because they don’t know how to respond to fear of any number of things. Have you taken the time to know what motivates them? Every single team member you have is motivated by different things. Some are motivated by money, some by their family life, some by the respect of their team, and others by a deep desire to make an impact. Try this, try to make time to go to breakfast, lunch, or dinner with every member of your team that you manage. Take an hour and just listen to them, ask questions, and listen for what motivates them. Then motivate them accordingly. If they are incentivized by money, consider giving them a bonus structure for productivity. If they are motivated by making an impact, try to involve them more in strategic big picture decisions. Is it a competency or value issue? Is the person able to do the job and not a good fit for the team? Or is the person incapable of doing the job but is a good fit culturally. If they fit culturally there might be a way to shift them to another role that fits their gifting better. If they are not a good cultural fit, then you need to reexamine the ways you communicate your culture to new hires and screen them in the interview process. Have you had the hard conversation about their performance? If someone is surprised when they get fired then you have failed as a leader. The conversation needs to be an open and honest dialogue. 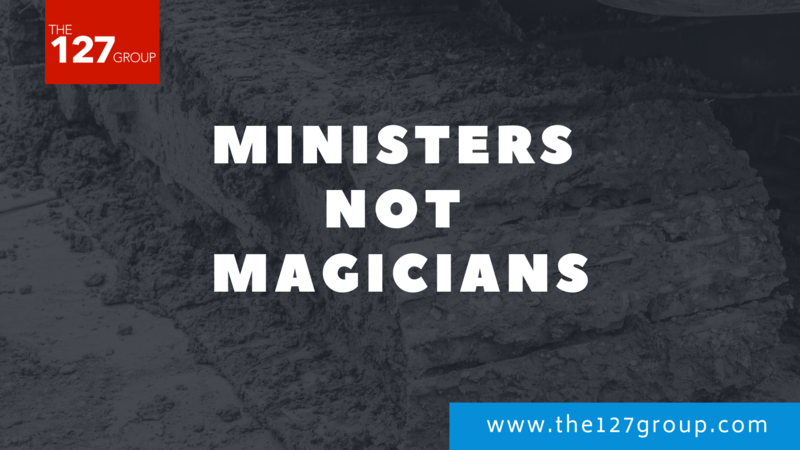 Radical candor is underestimated in church leadership. It is not sinful to clearly tell someone what they are good at and what they are bad at. It’s honest and kind. It may not seem nice, but niceness is not a Biblical virtue. If you’re frustrated with their performance tell them. Do so in a calm, matter of fact manner. 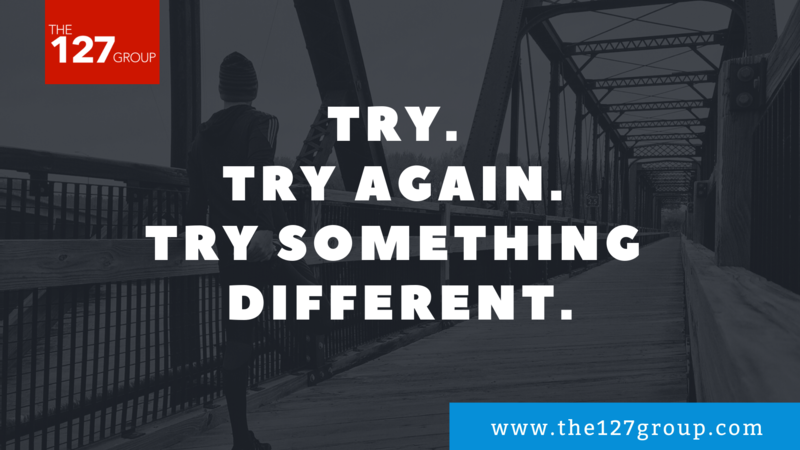 Avoid drawing parallels between them as a person and their performance. This isn’t about them being bad people (usually), it’s about the quality of their work. Have you clearly communicated what you want them to do and do they understand how to do it? We see this all the time in leaders. They aren’t actually frustrated with the quality of work in their people. They’re frustrated that the person can’t read their mind. Maybe you expect your people to stay until at least 5:30 everyday because you as the leader stay that late. Yet you’ve never told them that expectation. They don’t know that it rubs you the wrong way when they don’t cc you on project updates. Yet again they have no idea what’s going on in your head. You have to clearly articulate what you expect your team to do and then ensure that they understand how to do it. Are there measurable goals that tell them if they’re winning or losing? If the only barometer for the success of a team is how the leader feels then you don’t have an organization. You have a torture chamber. If you don’t measure it, then you can’t manage it. You need to have clearly defined targets and goals for your staff that don’t move constantly. If they aren’t set up then get started. Yesterday! Are you regularly holding them accountable? Once you’ve set goals for the position, do you regularly (ideally monthly) meet with them to see what the progress is? You goals for the team are useless if there is no accountability in place to ensure steady progress. Accountability to goals is one of the key ingredients that differentiate great teams from average ones. Is this a new issue or has it been a pattern? Look for clues as to when the issues began. Was it around the time of a significant life event for them like the death of a loved one, a sickness, a new baby, etc.? If that’s the case, consider giving them a sabbatical to regroup and re-energize. Is it an issue that began when they began working with another team member? Maybe there are some interpersonal issues to work through. Or is this a pattern that has been consistent since their hire? If that’s the case (and you’ve gone through the rest of these questions successfully) then it might be time to begin some hard conversations about their future in your organization.